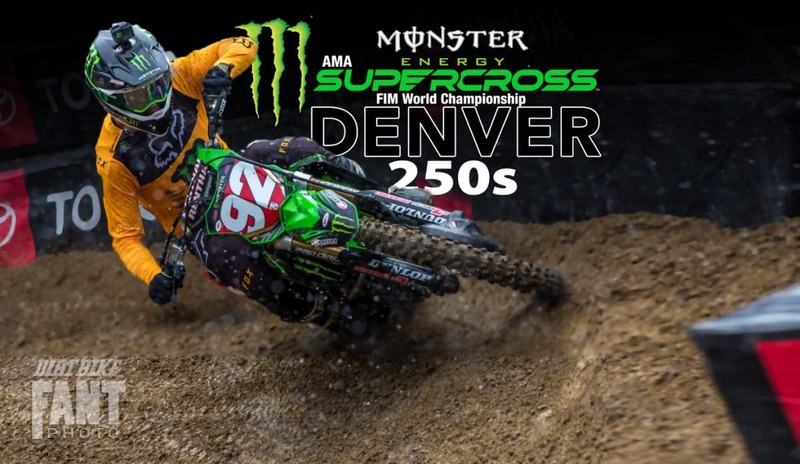 The anticipated battle between Adam Cianciarulo and Dylan Ferrandis didn’t quite materialize, simply because they were separated by several spoilers throughout the main event. Rockstar Husqvarna’s Michael Mosiman was on fire in the early laps. He took the holeshot with Adam Cianciarulo all over him. Dylan Ferrandis was back in sixth, trying to pass Cameron McAdoo. Try as they might, neither of the two favorites could make a pass. It took six laps for Cianciarulo to make a pass, then Mosiman had the nerve to take it right back. Eventually, Cianciarulo made it stick. Ferrandis did the same, then passed Jimmy Decotis for third. After that, it was Ferrandis’ turn to deal with Mosiman, It was lap 13 before Ferrandis moved into second place, but by that time, Cianciarulo had an 8-second lead. Two laps from the end, Mosiman fell and picked it up quickly, but he would lose two spots in the end, eventually finishing fifth. Heat two had both title contenders, perhaps to give a preview of the main event. Dylan Ferrandis and Adam Cianciarulo came off the line behind RJ Hampshire. 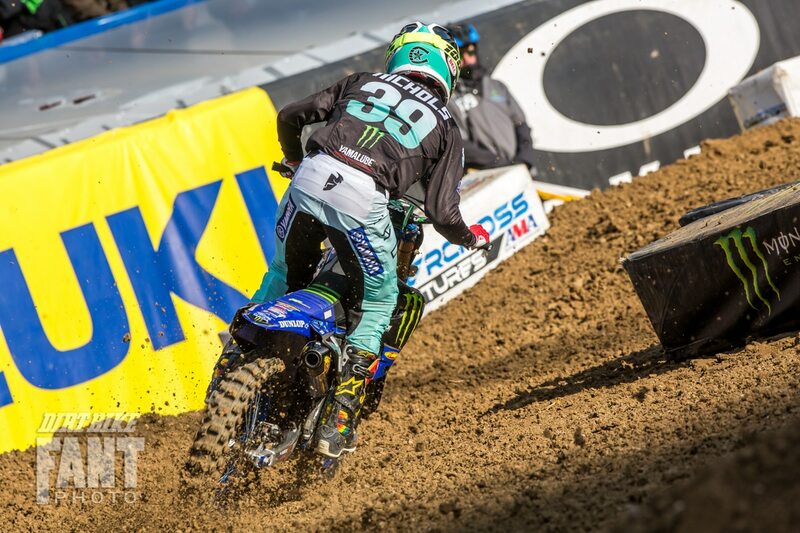 Ferrandis made a mistake on the second lap and Cianciarulo passed him, then immediately closed on Hampshire. Cianciarulo later passed Hampshire in the same corner and began to pull away. Ferrandis had a much harder time with Hampshire. He made a few attempts to get past the Honda rider, but failed to close the deal by the end of the race. Garrett Marchbanks blew a motor in his heat, and the Pro Circuit Kawasaki team had to install a back-up motor in very little time. 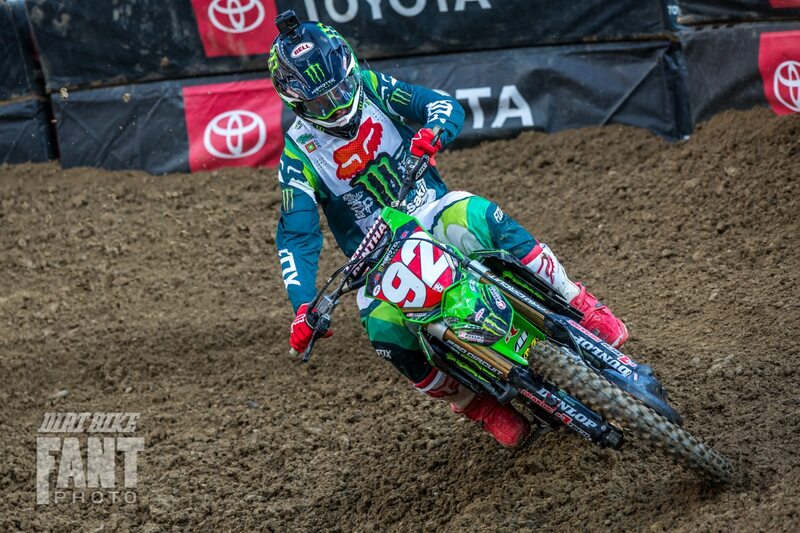 It was all very reminiscent of Eli Tomac at Nashville. Marchbanks made it into the Last Chance Qualifier and had very little trouble winning the race over Chris Blose, Enzo Lopes and Blaine Silverira.